Lana has a BA in Psychology and an MA in Student Personnel. 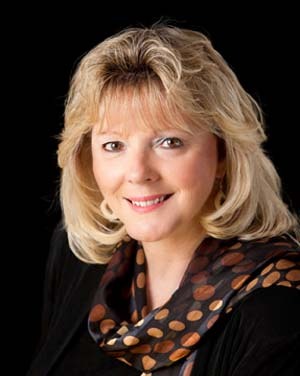 She has 35 years of experience in the field of workforce, training and development. Lana began her Workforce Development experience as a CSE participant and then moved on to become a youth counselor for 5 years at the United Way in Pennsylvania. Her training experience was further broadened as the Assistant Director for Residence Life at the University of Pittsburgh, Pennsylvania, where she supervised and trained Resident Assistants and Resident Directors, while developing training programs in residential halls for college students. In Arizona, Lana worked as a Vocational Rehabilitation Consultant for a Risk Management Company and as a JTPA Director for the Urban League before becoming employed by Gila River Indian Community in 1990. At Gila River Indian Community, she oversees, Federal and State youth and adult WIOA Grants, a Career Pathways Grant, the Native Employment Works Grant (NEW) for Natives receiving TANF, an AmeriCorps Grant titled "Veterans serving Veterans", and the Tribal Employment Rights Office (TERO), insuring the employment rights of Natives on reservation. Additionally, she has developed a successful 14 year-old Indian Nations Camp for Native youth for Tribes across Arizona. Lastly, as a certified True Colors Trainer, she provides 'True Colors' training to Tribal Departments and Department participants. Lana currently serves as the Vice Chair of the Nineteen Tribal Nations Workforce Development Board (NTNWDB) and is the Chair of the Arizona Tribal WIOA Directors. Lana was successful in acquiring a 3 million dollar 'Workforce Innovations Grant'` for Gila River Indian Community to develop a first ever Native American Career Pathways System on reservation land. The 3 year grant developed 5 Industry Sectors; Construction, Medical, Hospitality, Small Business and Fire Apprenticeship.